Lovers of thrillers and mysteries will find Sarah Knight’s pedigree of more than passing interest. During her long career at several major publishing houses, Knight has worked with a star-studded array of writers, including James Lee Burke, Stephen Hunter, Jeffery Deaver, Taylor Stevens, and Gillian Flynn, among many others. 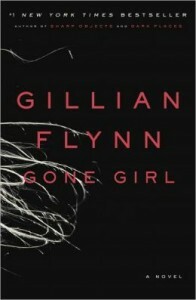 Before she moved over to Simon & Schuster to work with the house’s stable of bestselling crime writers, Knight plied the editorial waters of Scribner, Henry Holt, and, most recently, Random House, where she was fortunate to edit Gillian Flynn’s DARK PLACES and then pick up a little property called GONE GIRL—only to accept a job offer from S&S soon after. She still finds leaving behind that future bestseller painful to recall. The minute I saw the list of contributors, I started fantasizing about the possibilities…. This was going to be huge. Eleven stories later, I knew it wasn’t just a great concept—it was (pardon the pun) a stellar execution…. [T]his anthology is a love letter to the craft. Once again her editorial sensibilities hit the mark. 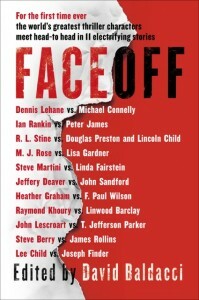 FACEOFF clambered onto the both the New York Times and USA Today bestseller lists in its inaugural week. 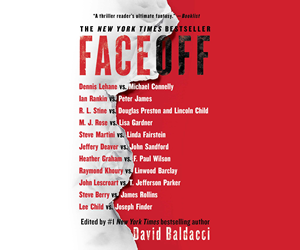 In the interview that follows, Knight offers candid, often eye-opening observations—from further thoughts on FACEOFF, to what constitutes an irresistible book, to how editors prefer to work with authors. So let’s dive in. For readers who may not know what an editor at a major publishing house does, can you tell us a little about your responsibilities? A typical day for you? A typical day for me involves working on probably five or six different books, each in different stages of publication. For example, yesterday I typed up my editorial notes and letter for a book that will be published in late 2015; I worked on catalogue copy for my Summer 2015 titles, I wrote a galley letter to be included in a Fall 2014 book; I reviewed a short story that one of my authors is publishing as an e-original next month; I went back and forth with a Spring 2015 author about her cover art; I developed some ideas for op-ed material for two Fall 2014 authors; I wrote blurb request letters for a Summer 2015 book; and of course I sent and received a million emails and attended a few meetings! What the “day in the life” list doesn’t account for is all the editing, which typically gets done on the weekends, while reading submissions sent to me from literary agents tends to happen during my commute, and in the evenings. I’m always juggling; just when I think I’ve managed to carve out a weekend to devote to editing a particular manuscript, a literary agent will send her “big novel of the summer” and I’ll have to drop everything to read that instead—because if I love it, I’ll have to walk in on Monday with comps and run a P&L (profit and loss statement) and ask other people to devote their night to reading it too, and then try to make an offer and win the book before someone else in town does. That’s the job of an acquiring editor, and it’s the most important thing to keep a publishing house in business—acquiring content—yet it tends to get relegated to non-office hours because there’s so much else to keep us busy during the day. With acquiring content one of the most important tasks, can you tell us what excites you about an incoming manuscript? What do you hope to find and how do you know when you’ve found it? I want to be immediately swept up in a novel—either by the voice, the excellence of the writing, or the promise of a mysterious plot. Any one of those things can convince me to keep reading, although none on its own is really sufficient to make me want to acquire a book. And if none of those are present in the first 5 pages, it’s highly unlikely that book is one I will go after (even if I do end up reading most, or all of it, because I sometimes can’t help myself). I always want so badly for a book to redeem itself. I want to love it, and in some ways I’m eager to validate the writer by loving it. I know how hard he or she has worked and I want to be the one to call up and say, “I’m about to make your dreams come true.” Unfortunately, the demands of the business force me to be extremely selective, so I only get to make that call a few times a year, out of hundreds and hundreds of submissions. I know I’ve found it when all I want to do is keep reading. I don’t feel bad about rejecting books that are clearly not right for me (the agent’s failing) or that are purely bad (the author’s failing), but I feel terrible several times a week when I have to turn down a good writer and book—for any one of a host of reasons. But what it always comes down to in the end is: I need to be a book’s best advocate. I need to be able to proselytize on its behalf for literally years to come. So if I don’t love a book from the get-go—if I am not confident enough in its prospects to spend Simon & Schuster’s money and devote hundreds of hours of my time and ask my colleagues to do the same—then it’s irresponsible of me to acquire it. To tip the scales to acquisition, I need to love it, and I need to feel confident in all, or most, facets of the book and believe that I’m capable of helping the author get it into its ideal form. That doesn’t always happen, but I have a pretty good track record of picking talented and capable writers! How many manuscripts come your way in a given week or month? A look at my log shows thirty-seven manuscripts in the last thirty days. Or, 1,578 submissions in my four years at Simon & Schuster—so about 400 a year. I edit both fiction and nonfiction, so some of those are proposals, rather than full-length novels, but it’s a lot of reading! Tell us about some of the treasures past and present you have acquired? There are so many! In an effort not to offend any of the writers I’ve published by not choosing their books, I’ll focus on two books that I acquired, but did not stay around long enough to edit and publish—those accolades go to the editors who came after me. One was a memoir by Rhoda Janzen called MENNONITE IN A LITTLE BLACK DRESS. I remember reading the proposal and just being completely enamored of her voice and her story in every possible way. I was thrilled when my then-boss let me preempt the book for a healthy sum, but then just a few months later I was offered a job that I couldn’t refuse, and I left Rhoda behind. Since her book was merely a proposal at the time I acquired it, she wrote and edited it with someone else (Helen Atsma, then at Henry Holt and now at Grand Central)—and it went on to become a bestseller, reaching #1 on the New York Times list in paperback. On the fiction side, while at Random House from 2008 to 2010, I had the pleasure and privilege of editing Gillian Flynn’s novel DARK PLACES (though I had not discovered Gillian—that honor goes to Sally Kim, who had published Gillian’s debut, SHARP OBJECTS). I was then able to acquire two new books from Gillian, the first of which, of course, was GONE GIRL. As I recall, Gillian submitted maybe forty pages of that novel and a synopsis of where it was headed—she definitely indicated the major twist of the plot and I remember thinking, “Hmmm…I wonder how she’s going to pull that off.” But I trusted that she would and was excited to read it. Alas, once again, I left that job before the book was fully drafted and it was taken over by Lindsay Sagnette who edited it and Crown published it—as we all know—to enormous success in 2012. Not gonna lie, that one hurt. Speaking of treasures, every editor has one that got away. What’s yours and how did it escape? I have more than one, but the first big disappointment came when I was a young editor, newly arrived at a company in my first non-supporting editorial role. I was building a list that included nonfiction for the first time, and I received a proposal that just gave me that “feeling”—I raced around getting it to my publisher and quickly amassed a very large sum of money to make an offer, but I knew it wasn’t going to be enough. Soon, there were other bidders around town. My publisher supported me but the bidding got to such a huge number that he needed to go above him to the CEO of the company who—and I’ll never forget this—told us, “Cat books don’t sell.” Another house made the winning bid and went on to publish Dewey: The Small-Town Library Cat Who Touched the World. Over a million copies and two spinoffs later, I think we can safely say that some cat books do sell. I loved that cat. I remember you mentioning that the minute you saw the submission for FACEOFF, you thought it a “no-brainer.” Why? The simple answer is: proven commodity. 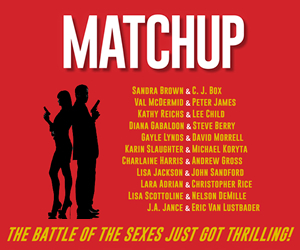 Not only were there a couple dozen internationally-bestselling writers attached to the project, they were planning to feature their most beloved series characters, AND to pair those characters together in each story. It’s like Dennis Lehane sitting down to write Michael Connelly fan fiction. How could that not sell? Clearly a massive amount of planning went into FACEOFF and the writers rose to the challenge. Happily, the anthology is getting rave reviews. What aspect of the collection took you by surprise? Tell us about the unexpected. Let me throw in a quick question about the craft of writing. For new and aspiring writers—and to give book lovers another peek behind the publishing curtain—give us Five Do’s and Don’ts for authors. And while we’re at it, how about some do’s and don’ts when dealing with editors and publishers? I would just say that it’s important to remember that your editor, and all the other folks at the publishing house who are working on your book, are also simultaneously working on dozens of other books at the same time. Your book is likely the number one priority in your life—but on any given day, our priorities have to shift. It’s helpful to keep that in mind, so that expectations can be met on each side and relationships can flourish. If you are respectful and pleasant and generally undemanding to the people working on your book, they are highly likely to do extra things here and there on your behalf, and/or go above and beyond that one time when you really have to ask a huge favor or miss your deadline! With reading being both a personal pleasure and your profession, would you mind telling us what you are reading these days? I just picked up BITTERSWEET, a novel by Miranda Beverly-Whittemore, and read it in about three gulps. I chose it because it was edited by my former assistant, who I love and whose taste I respect and I want to support her, but also because it was getting rave reviews as a summer “must-read.” I’m happy to report that those raves are well-deserved. I thoroughly enjoyed it—atmospheric, with a twisting plot and sinister undertones, fluid writing and a very satisfying ending. I’m now 100 pages into Megan Abbott’s new novel THE FEVER, and some day I’d love to find the time to delve into Hillary Clinton’s memoir. 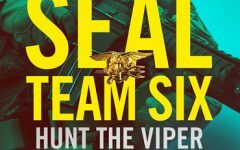 What are five of your favorite books outside the mystery-thriller-suspense field? My all-time favorite book is A PRAYER FOR OWEN MEANY by John Irving. I’m not sure it’s possible for me to ever love another book more than I love that one. Other favorites (including some nonfiction) are Jonathan Harr’s legal narrative A CIVIL ACTION, Gore Vidal’s memoir PALIMPSEST, Roxane Gay’s upcoming essay collection BAD FEMINIST, and the novel TAMPA by Alissa Nutting, which I thought was nothing short of brilliant. You are working, and have worked, with many famous authors. You also work with many new authors (including me). 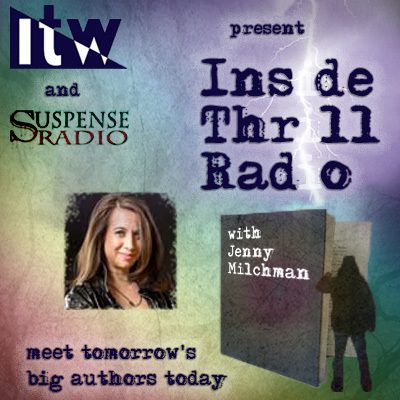 For mystery-thriller fans, how about giving us one of your favorite author stories? That’s easy. In the summer of 2010 when I had just arrived at Simon & Schuster, my boss invited me on a trip to Montana to meet James Lee Burke, whose books I would [hopefully] be taking over from his previous editor. I grew up with Burke’s novels and he has long been my mother’s favorite thriller writer—actually, her favorite writer, period. I knew he was very important to Simon & Schuster and also that his career spanned my life about twice over . . . the prospect of meeting him and, hopefully, winning him over so he’d be happy to have me as his editor was somewhat intimidating. I flew in the night before, met my boss in the hotel lobby the next morning, and joined Jim and his long-time agent (also visiting Montana from New York) for lunch, then flew out the same evening. That lunch was about four hours long and was one of the most delightful, fascinating, invigorating experiences I’ve ever had. 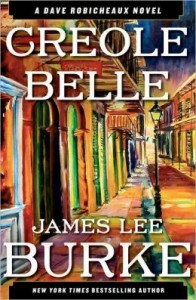 James Lee Burke is nothing short of a national treasure. That man can cite chapter and verse of every book or poem he’s ever read, every play or movie he’s ever seen, every speech he’s ever heard. He is a raconteur nonpareil. I will always feel lucky to have had that lunch with him (and to have edited four of his books and counting) even though I spent longer in transit than I spent in Montana! Aside from FACEOFF, do you have any other summer and fall offerings you think readers might enjoy? I have a terrific nonfiction book that thriller fans are sure to enjoy called THE SKELETON CREW: HOW AMATEUR SLEUTHS ARE SOLVING AMERICA’S COLDEST CASES, by Deborah Halber. Deborah is a science writer and journalist by trade, and she’s written a book about web sleuths, an obsessive subculture of armchair detectives who’ve been solving cold cases from their living rooms ever since the Internet enabled the kind of crowd-sourcing of data—on missing persons and unidentified remains—that had historically gone unshared between jurisdictions, across state lines, or around the world. I’ve been calling it “DIY C.S.I.” We got fantastic blurbs—Sue Grafton said she loved it, and John Walsh of America’s Most Wanted called it a page-turner. My favorite chapter is about a case called “The Head in the Bucket”—which is as macabre as it sounds. THE SKELETON CREW will be published in July. And as it happens, I have a pretty great thriller coming out in September called TOKYO KILL. I think you know about that one! As I said in my galley letter for this second novel in the Jim Brodie series (the first, JAPANTOWN, comes out in paperback this month), the minute I was introduced to Brodie, I knew he was a hero for the ages. 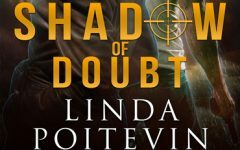 Like Jack Reacher or Mitch Rapp, there’s just something about Brodie that makes him the total package, and he’s operating in a realm very few other thrillers are right now—Japan, and specifically the world of Japanese art and antiquities. 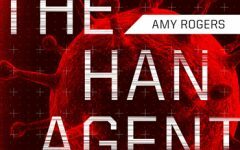 It’s that kind of fresh angle (plus top-notch writing and a great voice) that made me want to take the plunge on a debut series, and my hunch was validated when J. J. Abrams snapped up the television rights to JAPANTOWN last year. I have two more books under contract and hope to grow the series into a major brand for Simon & Schuster. A big thank you to Sarah Knight for taking time out from what is clearly a busy schedule to offer such open and insightful answers. As a personal aside, as Sarah mentioned, she is my editor, and I can attest to what is apparent from her answers—she’s a responsive and talented editor and I’m honored to be working with her. 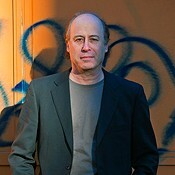 Barry Lancet’s first mystery-thriller, JAPANTOWN, has been nominated for a Barry Award for Best First Novel, selected as a Best Debut of Year both by Suspense Magazine and mystery critic Oline Cogdill, and optioned by J. J. Abrams’ Bad Robot Productions, in association with Warner Bros, for a TV drama. TOKYO KILL, the second offering in the Jim Brodie series, is due in September 2014. Lancet is based in Japan, but visits the U.S. frequently. He has lived in Tokyo for more than twenty-five years, and his former position at one of the nation’s largest publishers gave him access to the inner circles in traditional and business fields most outsiders are never granted, and informs his writing. To learn more about Barry, please visit his website.